Hazrat Muhammad (PBUH) was the last prophet of Allah. 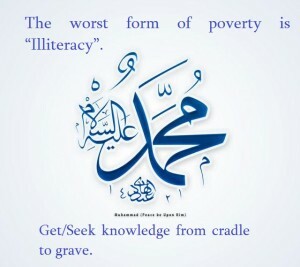 Some of Educational saying of Prophet Muhammad are quoted here. He give us a lesson how to survive in the world to speak truth and never hesitate to say it in front of any one. 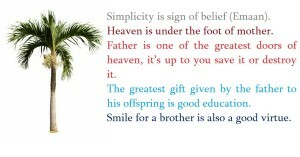 following are some of wallpaper images of Educational saying of Prophet Muhammad. 1. It is obligatory to get knowledge for both gender. 2. The way of Knowledge is the way of Heaven. 3. 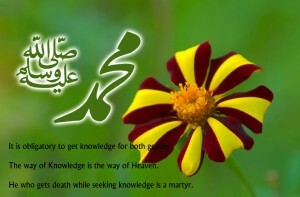 He who gets death while seeking knowledge is a martyr. 4. 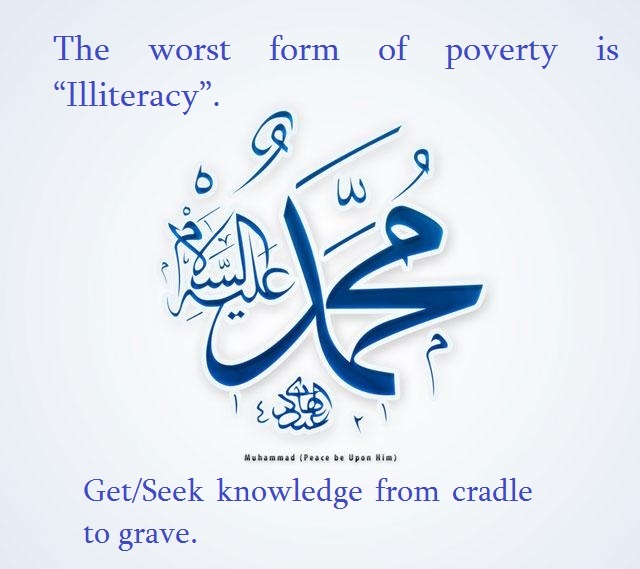 The worst form of poverty is “Illiteracy”. 5. Get/Seek knowledge from cradle to grave. 6. All sins have repentant except insolence. 7. Root cause of every evil is to love mortal world. 8. World is a detention for believer while heaven for nonbeliever. 9. 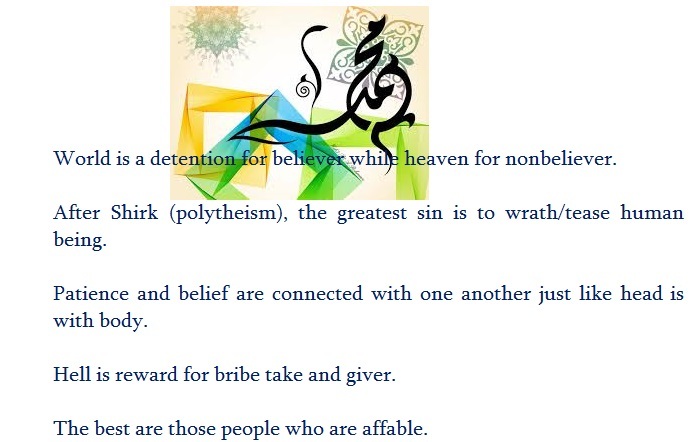 After Shirk (polytheism), the greatest sin is to wrath/tease human being. 10. Patience and belief are connected with one another just like head is with body. 11. 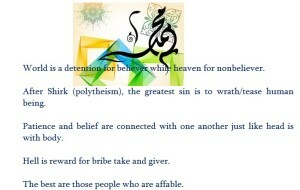 Hell is reward for bribe take and giver. 12. The best are those people who are affable. 13. Quietness is a good policy. 14. 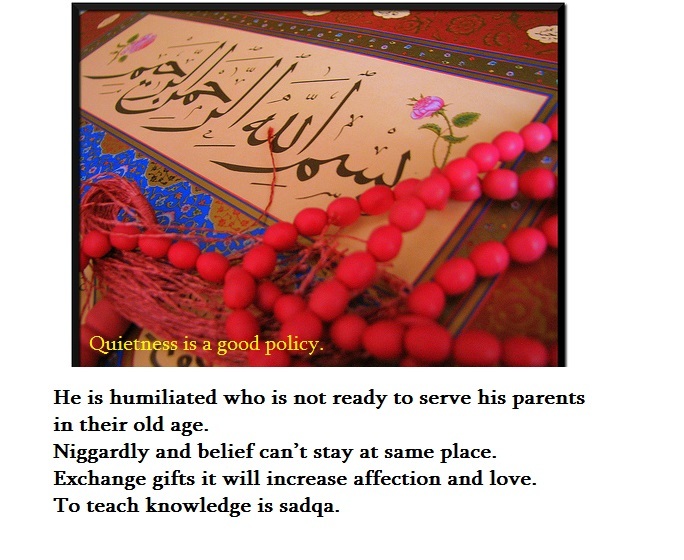 He is humiliated who is not ready to serve his parents in their old age. 15. Niggardly and belief can’t stay at same place. 16. Exchange gifts it will increase affection and love. 17. 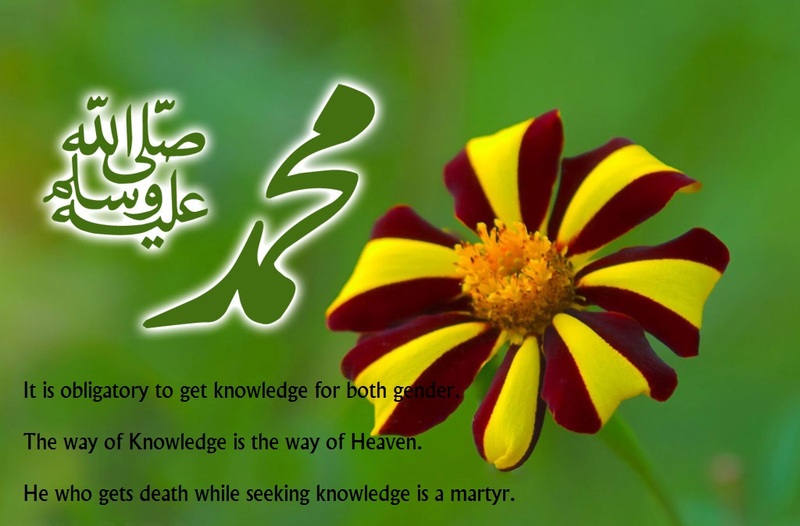 To teach knowledge is sadqa. 18. 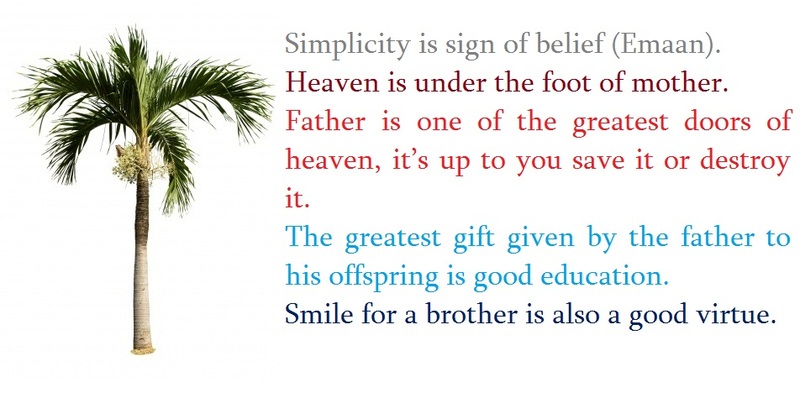 Simplicity is sign of belief (Emaan). 19. Heaven is under the foot of mother. 20. Father is one of the greatest doors of heaven, it’s up to you save it or destroy it. 21. The greatest gift given by the father to his offspring is good education. 22. Smile for a brother is also a good virtue.